A winter story: Higher than average snowfall at low elevations. A temperature story: Warmer than average, and with the 3rd warmest summer on record. A summer/fall drought story: Record-setting dry conditions from July through October. 2018 was the 25th warmest year on record, averaging 7.1°C, which is 0.7°C warmer than the 1971-2000 baseline climate. 2018 was the 7th driest year on record, with a total of 934mm of precipitation, which is 439mm below the 1971-2000 average, or 68% of normal. While these annual values tell part of the story of 2018 weather, they mask some of the truly weird weather that we experienced in 2018. Figure 1 shows average monthly temperature for 2018 (blue dots) in comparison with all years on record. February was quite a bit colder than average, July and August were much warmer than average. Figure 1: 2018 average monthly temperature for Terrace, BC. 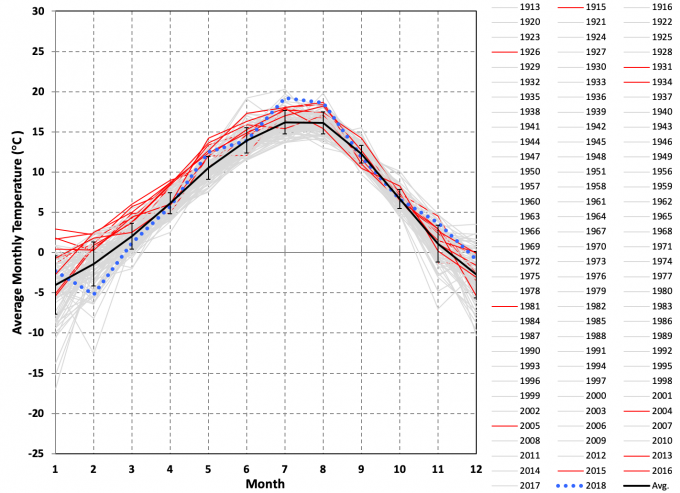 The dotted blue curve is 2018, the 10 red lines are the ten warmest years on record, every other year is in gray. The black line is the long-term average, and the error bars mark plus/minus one standard deviation. Conditions in Terrace, BC during the winter of 2018 were noteworthy in that we had a large early snowfall in November (2017) followed by colder than average temperatures and more snow through February, leading to snow persisting through the winter at lower elevations. It was the 31st coldest winter (Dec. – Feb.) on record, with temperatures 1°C below the 1971-2000 average. Even with this cold, and the persistent snow on the ground, it was the 15th driest Dec. – Feb. on record with total precipitation 190mm less than average. This significantly lower than average precipitation (61% of normal) meant that while we had lots of snow at low elevations, the mountain snowpack was unremarkable. Looking at total snowfall for the months Nov. – Mar. reveals that it was the 19th snowiest winter on record in Terrace. 13th coldest February (-5.2°C), 3.9°C colder than average. Well below the record winter of 655cm (1972). The main temperature stories for 2018 were the much warmer than normal months of July and August, and a record setting temperature for a day in June. While the year was only the 25th warmest on record, we had the 3rd warmest summer (Jun. – Aug.). Average summer temperature was 17.2°C, 1.7°C warmer than average. The month of June was nearly identical to the average, but we then had the 4th warmest July followed by the 3rd warmest August (Figure 1). Just like the annual average temperature masks seasonal and monthly variability, seasonal and monthly averages hide the day-to-day extremes experienced during the year. 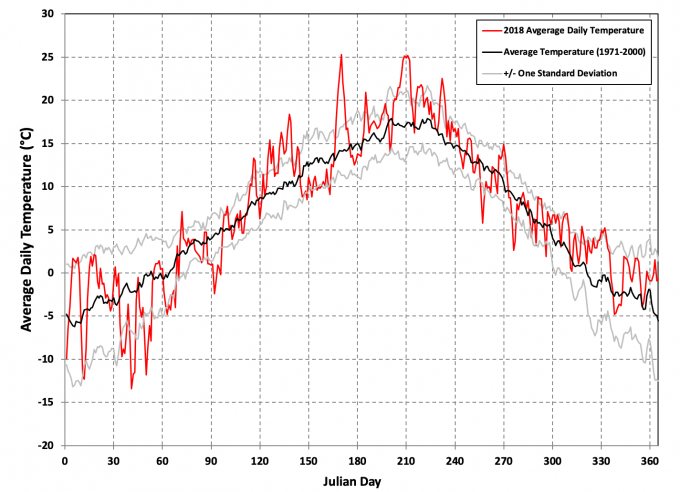 Figure two shows the average daily temperatures for the year. Figure 2: Daily average temperature for 2018 in Terrace, BC (red line). The black line shows the 1971-2000 average. The two gray lines show plus/minus one standard deviation. Changing temperature between the two gray lines (plus/minus one standard deviation) can be considered average variability. When temperatures go below or above these two lines we’re starting to see conditions that are more out of the ordinary. There were a few such events in 2018. The colder than average February (roughly between Julian day 30 and 60) stands out pretty clearly, with two peak cold days: -13.4°C on February 10th, and -11.8°C on February 19th. Getting cold days like this isn’t out of the ordinary, and in fact we usually get more such days and the minimum temperature in a given year is usually colder. Only two years had the lowest winter temperatures higher than the -13.4°C recorded in 2018. Or, in other words, 28 out of the 30 years during the climate baseline period (1971-2000) had temperatures colder than our coldest temperature in 2018. Translation: It didn’t get that cold in 2018. The peak temperature on May 18th of 18.4°C (day 138) wasn’t a record setting temperature for the month of May, but certainly was much higher than the average and within a few degrees of the all-time high for the month of May. The two times of highest average daily temperature occurred on June 19th (25.3°C) and on July 30th (25.1°C). Only two years during the 1971-2000 baseline climate period had an average daily temperature above 25.3°C. June 19th, 2018 set an all-time record for temperature in June with a high temperature of 34.2°C and an average daily temperature of 25.3°C. The peak summer temperatures of 2018 were well above normal. The final, and most important weather story of 2018 was the July through October drought. It was the driest Jul. – Oct. on record with a total of 150mm of precipitation (37% of normal), and the driest Jul. – Sep. on record with a total of 56mm of precipitation (26% of normal). None of the individual months were record setting, but taken together they are the driest four-month period on record in Terrace. 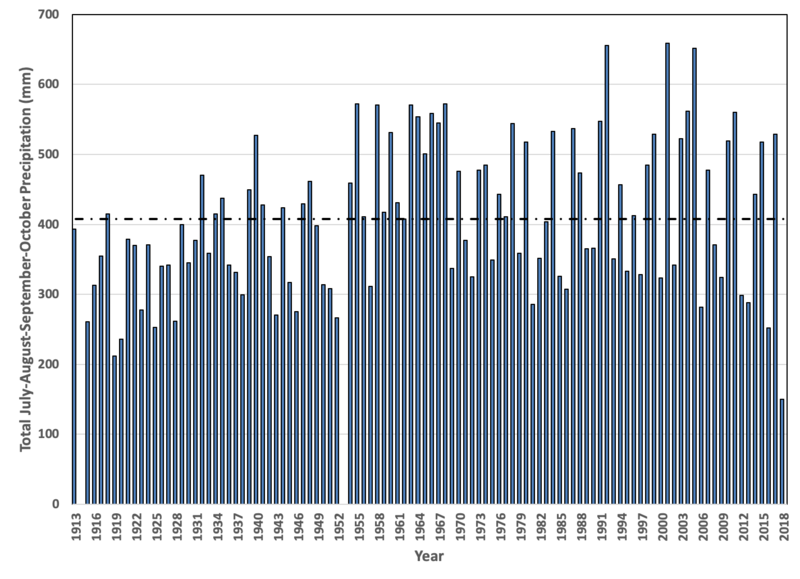 Figure 3: 1913-2018 total precipitation for the months July – August. The long-term average is in black and dashed. There are two years of missing data (1914 and 1953). The impacts of the 2018 drought will likely linger, unless the region receives well above normal snowfall and a cool/wet summer in 2019. Watch for analysis for January and February 2019 coming to GlacierChange.org soon, followed by updates at the end of each month. Terrace, BC Weather Forecast (Environment Canada), All data presented in this post is freely available here. Have you ever wondered if the weather yesterday, last week, or this past month was “normal”? 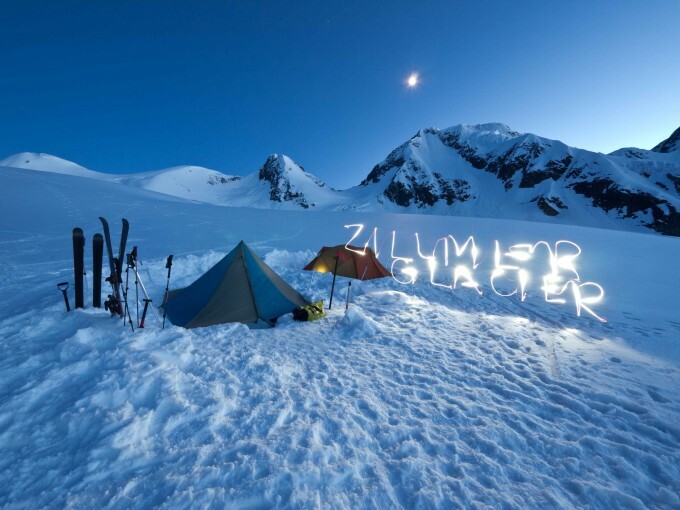 Starting in the coming days, “Is This Weather Normal?” will become a regular blog topic at GlacierChange.org. This series of posts will focus on the weather of Terrace – a town of some 12,000 in the Coast Mountains of British Columbia. I teach an introductory weather and climate course at Coast Mountain College, and in addition to doing weekly weather forecasts with my class, we’ve also begun looking at our weather in a longer term context. The motivation for bringing these short overviews on the “normality” (or abnormality as the case may be) of our weather, is to provide some quantitative context, some verifiable reference points for what we experience on a daily basis. Our perception of weather is colored by personal preferences of what constitutes “nice”. And often it has become that “nice” is completely abnormal, and sometimes even threatening to the ecological norms of a region (see here for example). “Sure glad this is all falling as rain. You don’t have to shovel rain!” is a common mid-winter saying during an abnormally warm winter spell. “This fall weather has been incredible! The salmon probably aren’t doing too well though, eh?” was a common refrain in the summer/fall of 2018 here in northwest BC. Our qualified opinions of the weather has us far removed from what “normal” actually is. My hope is that these posts will help provide some rational footing with respect to our daily experience of the vagaries of our atmosphere – at least in western British Columbia. Watch for the first such post – an overview of 2018 weather – in the coming days, followed by an update each month for 2019. 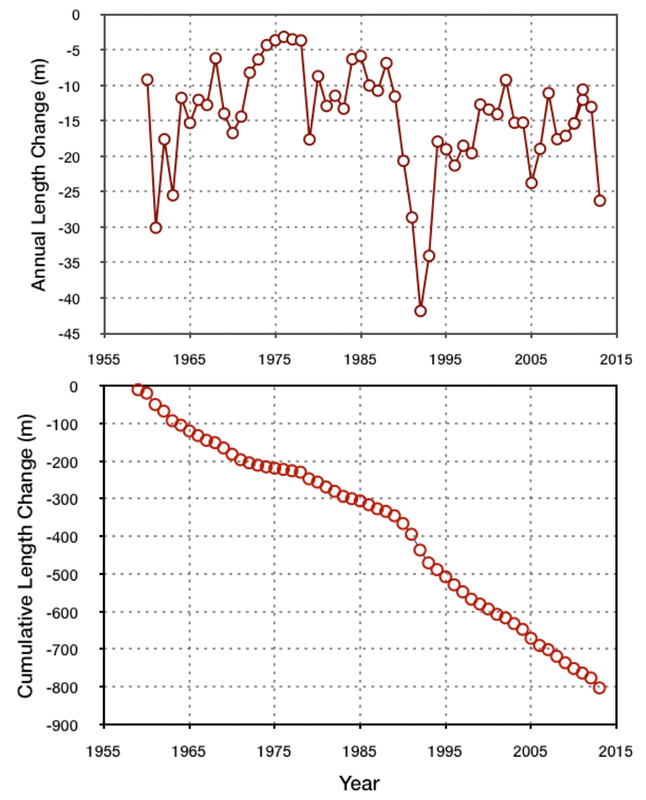 The longest continuous record of annual length change for a North America glacier now stands at 55 years (1959-2013). In 2013 Castle Creek Glacier retreated 26.3 meters, the fifth largest annual measurement since 1959. Total 1959-2013 retreat now stands at 803 m, with an average annual rate of 14.6 m.
Annual length change of Castle Creek Glacier in meters (top), and cumulative length change in meters (bottom). Both plots include data from 1959 to 2013. A full discussion of the methods used to derive this data set can be found here. 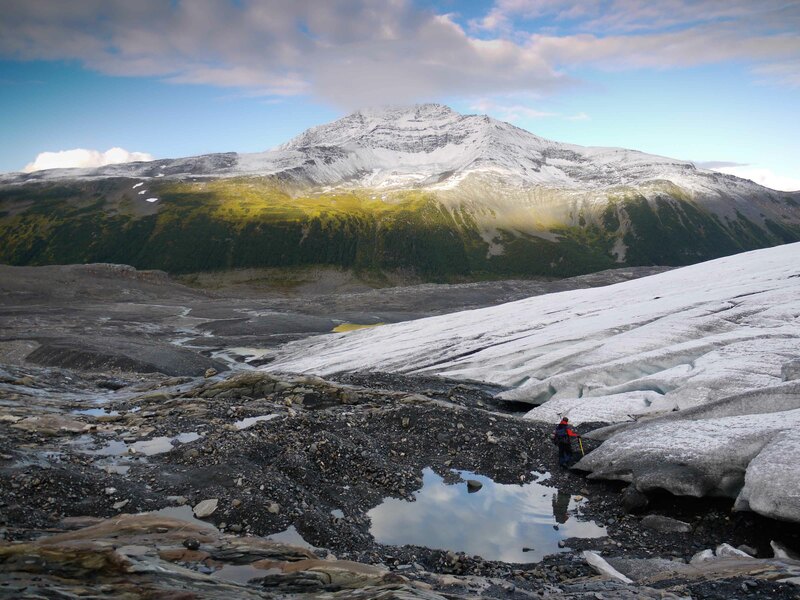 Glacier retreat over decades can be dramatic. For instance, Castle has lost nearly 2 km2 of surface area since 1952, most of it near the terminus. Repeat photography of glaciers typically uses pairs of images separated by multiple decades, revealing this stunning multi-decade change. Two aerial photographs of the terminus area of Castle Creek Glacier. The 1952 image is from the National Air Photo Library, Natural Resources Canada. The 2011 image includes the near infrared band – vegetation appears red. In my numerous trips to Castle Creek Glacier over the past six years I’ve been no less moved by the annual changes of a much smaller magnitude, however. The change we see around us is always in relation to scale, proximity and familiarity. Denny Straussfogel traverses Castle Creek Glacier. Teresa Brewis surveys the terminus of Castle Creek Glacier. 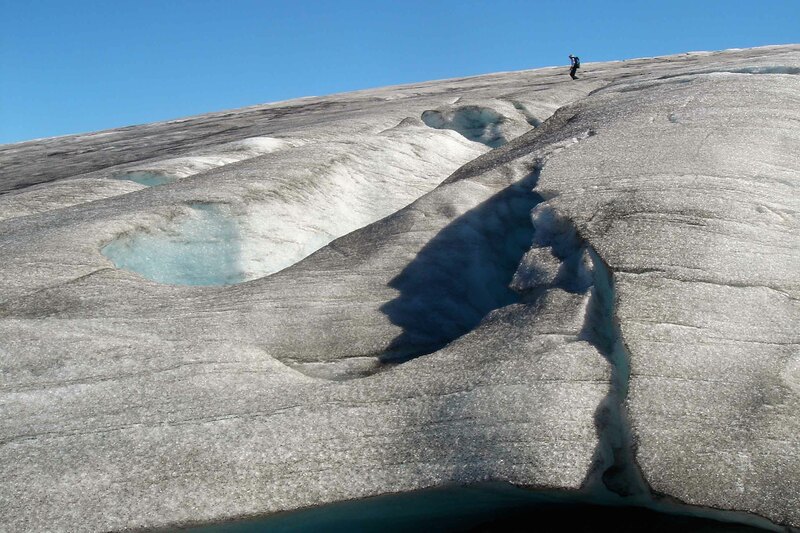 Rob Vogt surveys the west lateral margin of Castle Creek Glacier. Along with mapping the glacier margin and annual retreat, I’ve had the opportunity to observe and photograph Castle Creek Glacier’s annual changes. With each visit I’m astonished by the volume loss, change in form and alteration in character that is quantified blandly (yet importantly!) in our measurements of change. These repeat photographs, dating back to 2007, don’t show the marked change of repeat photos separated by decades. They do, however, catalog the more experiential understanding of the annual glacier change of Castle Creek Glacier. 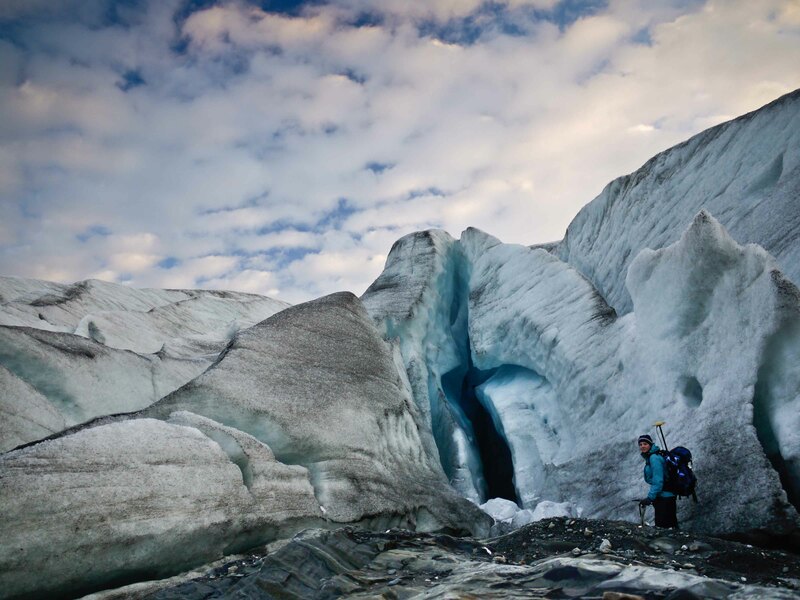 If you’re fortunate enough to have a ‘local’ glacier, make an effort to pay it a visit each year – you will be richly rewarded.